Grinstad and Wagner Architects of Bellingham, Washington was founded in 1994. We believe that architectural design is a team approach, working as a studio team to develop and critique sustainable design concepts. Our philosophy of Architecture is generally one of community contextualism. As Architects, it is our goal to design projects that add to the value of the community. Thus, by doing so, the project has long-term value to both the owners and the surrounding neighborhood. Many of our projects incorporate urban infill and redevelopments. They encompass many different styles, ranging from modern to historic. 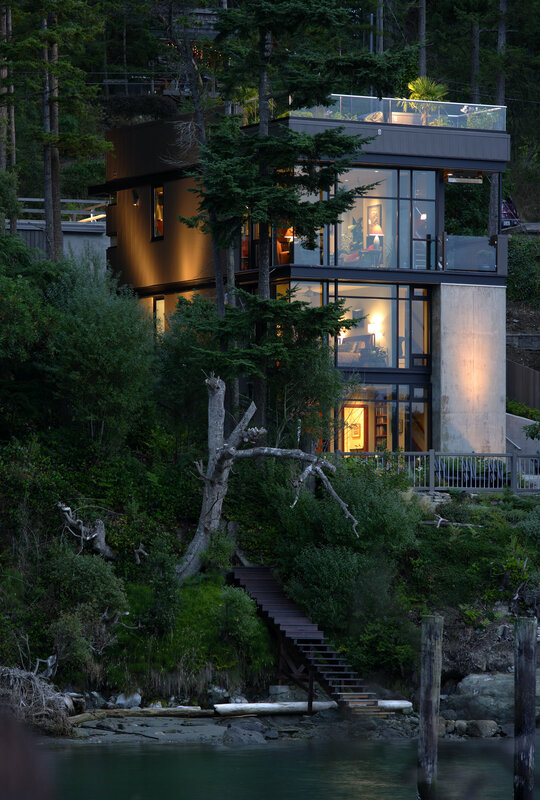 This Deception Pass Home received the Northwest American Institute of Architects 2008 Merit Award and People's Choice Award.